Best Blender for Daiquiris - Have You Seen All These Options? Home » Kitchen Gear » Best Smoothie Blenders 2019 (From a Real User) » What’s the Best Blender for Daiquiris? Looking for the best blender for daiquiris? We've been using blenders for over 7 years and are here to give you our recommendations! After all that time, we've got some pretty good recommendations for making frozen or standard daiquiris. Ninja Mega Kitchen System – When it comes to ice crushing, the large Ninja jar is awesome and it comes at an affordable price. The 6-blade system creates the perfect textured ice for frozen daiquiris. Because this is the Ninja Mega Kitchen System, it also comes with smaller blending jars that can also crush ice. So if you’re just making a drink for you and a friend, you don’t have to do a huge batch. 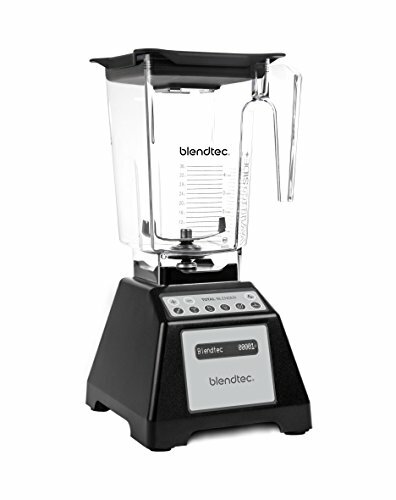 Blendtec Total Blender (Refurbished) – This is a great option if you want a heavy-duty blender at an affordable price. Ice and frozen fruit for a daquiri is an absolute breeze. Since it’s refurbished, it’s affordable but still comes with a solid warranty. Vitamix 5200 – The Vitamix 5200 is worth investing in if you’ve got the budget to do so. With it’s 7-year warranty, it’s going to be a permanent fixture in your kitchen. Oh, and daiquiris? It won’t even break a sweat. The jar is quiet large (64 oz), but you can buy smaller ones if you find you need smaller batches. Why Are These Blenders so Good For Daiquiris? ​When you're making a frozen daiquiri, it typically involves blending up your alcohol and strawberries - then throwing the ice in at the end. All of these blenders are heavy-duty enough to handle crushing ice with ease so that the final product will be the exact texture you want it. ​While daiquiris usually use fresh fruit, these blenders can do frozen fruit just the same. This means you have the option of not watering it down. You can mix your alcohol with strawberries that are fresh out of the freezer. It's a great way to make your drink extra flavorful. All of these blenders have some form of variable speed. If you want to make a quick cocktail, but not over-process - the low variable speed setting makes it possible. 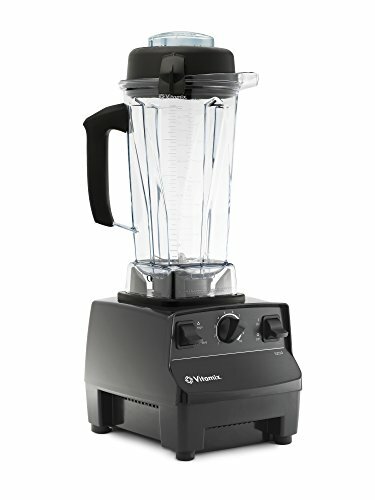 ​Well, the Vitamix is on the expensive side, but the rest of the options are pretty affordable. If you compare it to a daiquiri from the bar, any of them will pay for themselves pretty quickly! Why We Picked It: The Ninja Mega Kitchen System is a fantastic pick for daiquiris because of it's ability to crush ice with the big jar or the small jar. The spout and handle on the big jar, also makes it easy to serve up multiple cups of the stuff for your next gathering. Needless to say, with all of the options (single-serve, and food processor) that come with this machine, it goes far beyond ice crushing and daiquiris. Who It's For: Someone on a smaller budget who wants versatility. Pros: Great at crushing ice. Affordable. Multiple Cup Sizes & Food Processor Option. Cons: Not as heavy-duty as the other picks. Why We Picked It: This machine is a beast. It has a huge jar, a 3-peak horsepower motor and thick blades that will make daiquiris as thick as you want them. But it's capabilities go far beyond that. In addition to all the mixed drinks you want you can also do hot soups, super thick smoothies, batters, ice cream and pretty much any blended creation you can think of. For the price of the refurbished Total Blender, it's pretty much a steal. Who It's For: ​Larger families, moderate budget. Pros: Extremely powerful, solid warranty. Affordable since it's refurbished. Cons: Jar size might be overkill for some people. Why We Picked It: The Vitamix is the ultimate machine when it comes to blenders, and the 5200 is truly an excellent model. Because it doesn't come with any fancy pre-programmed settings, it's more affordable than some of the upgraded models. But it can still do all the same things: frozen smoothies and daiquiris, hot soups, batters and almost anything you can think of. Variable speeds means you won't over-process your drinks and the tamper allows you to keep things moving towards the blades with minimal liquid if you want something really thick and icy. Who It's For: Higher budget folks who want a permanent fixture in their kitchen. Pros: ​Arguably one of the best blenders on the market. Long 7-year warranty. The Ninja Mega Kitchen System – is the optimal choice if you want to get the best bang for your buck. It’s affordable, but is more than powerful enough to make daiquiris and much, much more. 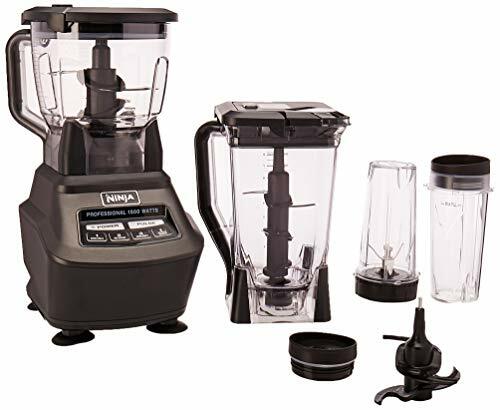 The Blendtec Total Blender (Refurbished) – is the most powerful blender on the list in terms of horsepower, but you can probably still find it in a similar price range to the Ninja if you get it refurbished. The only difference is you get a 3 year warranty rather than a 7 with a new model. It’s truly a great machine for anything you want to do and most similar to a Vitamix. The Vitamix 5200 is our #1 choice, because it’s just so hard to beat a Vitamix. If you decide to go with this one, you’ll have it for years and years to come. With the use of the tamper, you never have to worry if a Vitamix can get the job done, no matter what sort of blended creation you’re making. Want to see our latest blender picks of the year? Check out this guide.